San Francisco's public, nine hole Gleneagles Golf Course -- which overlooks the South Bay from a hillside perch above the Cow Palace in McLaren Park -- is the new site of an innovative Laborers Union pre-apprentice job-training academy, which will provide entry-level job-training for at-risk San Francisco youth, while at the same time providing some TLC and improved playing conditions for the golf course. The program was announced earlier this week by golf course manager Tom Hsieh, together with San Francisco Mayor Ed Lee and Union Leaders from the Northern California District Council of Laborers. “I care a lot about making sure this golf course is here for another generation of golfers,” Hsieh said. "... this week, in a trailer in the Gleneagles parking lot, a group of seven twentysomethings sat bolt upright at their desks, took copious notes and answered questions from their instructor, retired Marine Ken Mochida, with a firm, “Yes, sir.” Understand, these aren’t budding golfers. Asked if any of them had ever played golf, the group answered no, although some said they’d tried mini golf. But they aren’t there to learn how to hit a 5-iron. They are there because the golf course, with the support of the Northern California District Council of Laborers, is training them to qualify as apprentices in the booming construction labor market. For them, Gleneagles is a classroom, workplace and potential springboard to full-time work at a union job — with medical benefits, a union wage and pension... But let’s be honest, this was a program born of desperation. Hsieh has operated the course as a labor of love — which is another way of saying it isn’t making money — for nine years. In July, he gave his 30-day notice to the city, and there were serious questions about whether the course would survive. “It was really the need to repurpose Gleneagles,” Hsieh said. “The course has always struggled, especially in the last few years with the decline in golf rounds and the drought. If we wanted to be here another 50 years, we were going to have to change the approach.” That’s not all that has changed. A program like this could potentially work at any golf course, but Gleneagles has an advantage -- it’s right in the center of where people need it most." "Innovation", "creativity" and "repurposing" are terms more commonly applied to high tech startups that municipal golf courses. The problems at Gleneagles golf course are a microcosm of the issues facing golf courses across California. Perhaps another favored startup term could be invoked here - "disruption". Hsieh may have found a disruptive model for a golf industry that could use some innovation. "The Gleneagles Training Academy will provide a useful "classroom" experience for low income workers who are part of federal workforce programs, such as JobsNow!. The golf course is over 53 years old and is ideally located in the neighborhoods that have a disproportionate need for this special type of training. The goal is to provide a much higher level of job readiness, accountability, skills building, mentorship and follow through than any program in the state or nation. 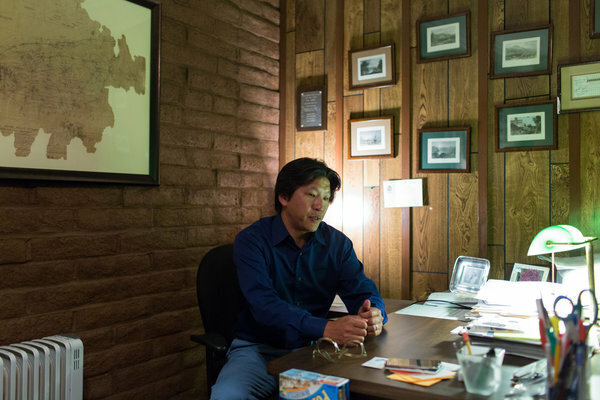 "For decades people from the neighborhoods could walk up to our gates but never find meaningful employment," said Tom Hsieh, general partner of Gleneagles Golf Partners, who operates the property through a lease with the Recreation and Parks Department. "Through this academy we will not only be helping people with jobs, we will be identifying new workers for careers in golf course maintenance, landscaping or the building and construction trades."